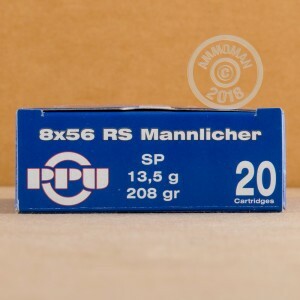 Can't find a good hunting load in 8x56 RS Mannlicher? Prvi Partizan, known for its wide cartridge selection, is here to save the day again. These new production rounds come in boxes of 20 and fire a 208 grain soft point bullet ideal for bagging deer and other midsize game. They produce deadly mushrooming expansion without excessive fragmentation so you won't miss out on meat or trophies. Prvi Partizan ammunition is loaded in Uzice, Serbia. 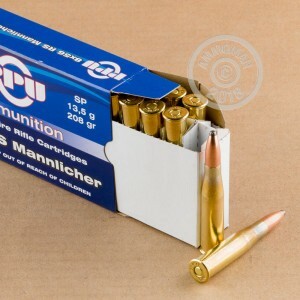 The company was founded in Uzice in the 1920s and has produced both military and hunting ammo for most of its history. 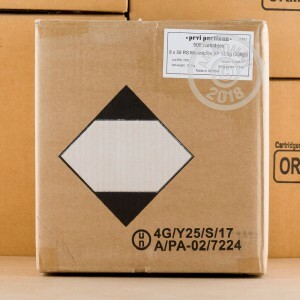 AmmoMan.com offers free shipping on all orders over $99. Place yours today!